Set in England and Hong Kong in the 1920s, this beautifully written character study is an affirmation of the human capacity to grow, change, and forgive. 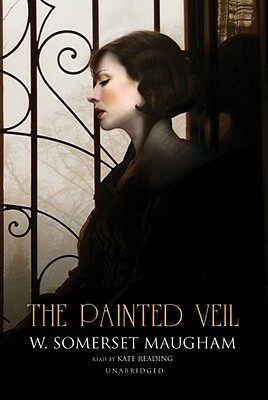 The Painted Veil is the story of the beautiful but shallow young Kitty Fane, who marries for money rather than love. When her husband, a quiet doctor, discovers her adulterous affair, he forces her to accompany him to a remote region of China ravaged by a cholera epidemic. There, stripped of the British society of her youth and overwhelmed by the desolation around her, Kitty's conscience begins to awaken. As she takes up work with children at a convent and experiences some of the burden her husband has taken on, she and her husband begin to rediscover each other in a new light. When her husband is tragically killed, Kitty is forced to return to England to raise her unborn child. Though it is too late for her marriage, she has learned humility, independence, and at last, how to love.